Microsoft Excel is widely used spreadsheet software. It is well known as ‘MS-Excel’ among the masses of businessmen, commercials and professionals. 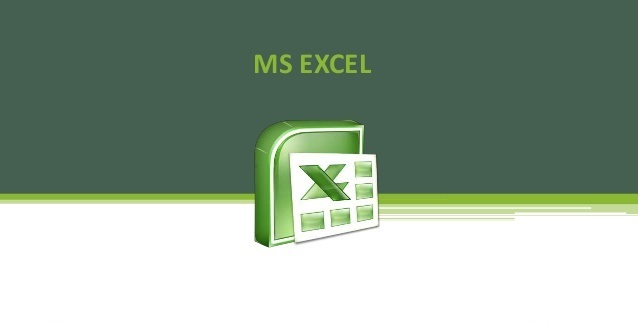 ‘MS-Excel’ spreadsheet is a very handy tool for calculative and numerical operations. Very few people know its history and how the concept of modern MS-Excel and spreadsheet evolved! Dan Bricklin was the first to think of ‘electronic cell’ with value, which is actually the result of underlying formulae within the table. He got this idea while attending a statistical workshop, observing the presenter erasing and writing formula & value repeatedly. This is the basic fundamental of all spreadsheet software even today. Dan Bricklin built primary level spreadsheet software having just 5 columns and 20 rows. Later Dan Bricklin and Bob Frankston formed a company named ‘VisiCorp’ to research regarding these magical and powerful ‘electronic cells’! 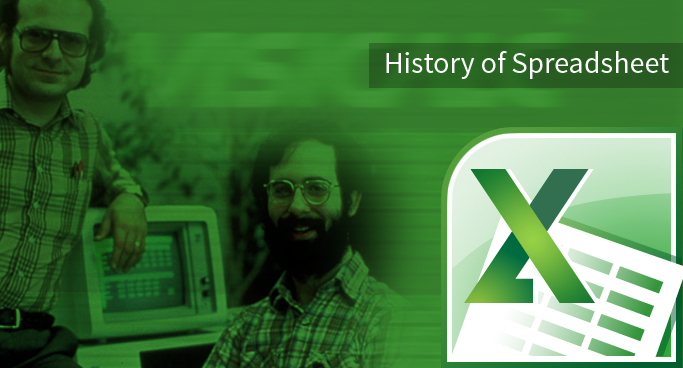 They worked hard together and the very first spreadsheet software ‘Visicalc’ was introduced by the fall of 1978. 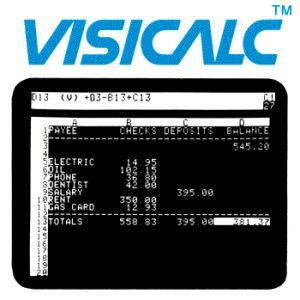 The name “VisiCalc” is a compressed form of the phrase “visible calculator”. Frankston described VisiCalc as a “magic sheet of electronic paper that can perform calculations and recalculations, which allows the user to solve the problems using familiar tools and concepts.” VisiCalc became an instant success. At the same time in the early 1982, Microsoft introduced ‘Multiplan’, a healthy competitor of ‘VisiCalc’ by VisiCorp and ‘Lotus 1-2-3’ by Lotus Development Corporation (now merged into IBM). The market for electronic spreadsheet software was growing rapidly in the early 1980s. 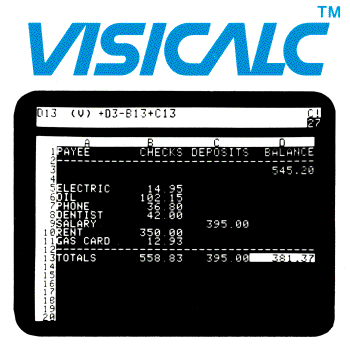 VisiCalc was unable to stand up against the demand and growing requirements. During that time, “Lotus 1-2-3” was marketed as a three-in-one integrated solution which handled spreadsheet calculations, database functionality and graphical charts. Thus the name ‘Lotus 1-2-3’ became famous rapidly and overtook almost the entire market of Visicalc and Multiplan due to their limited functionality and poor user-friendly environment. After making wide market research and essential changes and improvements, Multiplan was launched as Excel. Lotus 1-2-3 used “A1” format for expressing the current cell pointer position whereas Multiplan used “R1C1” format. In spite of having mass acceptance for “R1C1” style cell address style, Microsoft facilitated both the address styles. Excel was originally written for the 512K Apple Macintosh and also supported PC-DOS systems. It was one of the first spreadsheets to use a graphical interface with pull down menus and a point and click capability using a mouse pointing device. The Excel spreadsheet with a graphical user interface was easier for most of the people to use, than the command line interface of PC-DOS spreadsheet products. Many people bought Apple Macintoshes so that they could use Bill Gates’ Excel spreadsheet program. Microsoft launched ‘Windows’ (GUI) operating system in 1987; and released brand new version of Excel with more presentation options, Mailing options, WordArt, printing setups, What-If Analysis tools and the ability to customize spreadsheets. To avoid some naming conflicts and legal battle, Microsoft decided to prefix ‘MS’ to all its products. Thus, this new version of excel was introduced as ‘MS-Excel’. Microsoft added visual basic for applications (VBA) as ‘Macro’ to Excel In 1993 to give users automation functionality and customized solutions development ability. With the launch of this spreadsheet software with a new look, other spreadsheet products were thrown away magically and MS-Excel proved its popularity unbeatably. In 2006, Microsoft launched MS-Office 2007 with totally a new concept of Tabs and Ribbons instead of Menus and Toolbars. This is the biggest change that Microsoft has made to the application’s appearance till now, revolutionizing the information technology world. As of 2010, Excel is the most widely used spreadsheet in the market, offering users a power-house of organization, computation and analysis tools. Most spreadsheet users like Statisticians, Financial Analysts, Business Analysts, Data Operation Experts, Automation Specialists and many more have stated that Excel is the premier business computation tool.